The tire pressure measures the pressure in your car’s tires. It sends over the information to the car’s onboard computer, which analyzes the information and makes proper adjustments. If the problem is irreparable, the ECU switches on a warning light in your dash. 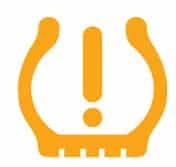 There can be a variety of reasons behind the tire pressure sensor’s failure, first and foremost of which is heat. The location of the tire pressure sensor means a lot of heat is created around it. Heat can damage an electronic component very easily, especially if it is small. Secondly, dirt and dust proof to be hazardous to the tire pressure sensor. Pollutants like dirt and dust sneak inside the tire and cause damages to the tire pressure sensor. Perhaps, the most significant and probably the rarest reason for a tire pressure sensor’s failure is water. We usually don’t drive our cars on water, but puddles of water on the road deposited after heavy rainfall can be a threat to the tire pressure sensor. Water can give way to a short circuit, which completely destroys your tire pressure sensor. A failing sensor should either be repaired or replaced, based on its current state. If it is too worn out, you’d be better replacing it, since replacements are not very expensive. The tire pressure sensor plays an important part in ensuring your car stays in perfect condition at all times. It calculates the amount of air pressure inside your car’s tires and notifies you if there is inadequate air pressure. In which case, you can take the appropriate measure. 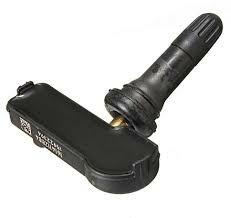 The tire pressure sensor also works in tandem with the tire inflator in some cars. The tire inflator in modern cars is a mechanism that lets you refill your tires with air if it goes low. If the tire pressure is low, the tire pressure sensor notifies you on the dash that a refilling of air is needed. In which case, with the press of a button, you can fill up your tires. Keep in mind, though, that tire pressure sensors can malfunction if they are failing or if their performance is hindered by pollutants like dust and dirt. A sensor is an electrical component and thus it is something that can deteriorate with age. Not only that but irregular power supply, dirt, heat, and dust can alter the sensor’s performance to a large extent. There are some noticeable changes to the car when this happens. The tire pressure sensor’s job is to notify you when the tire is low on air, so if you notice yourself that your tires are going flat or if you are feeling some difficulty driving your car, the tire pressure sensor has failed or is malfunctioning. The sensor needs to be in top working condition to make a proper assessment. Therefore, if you are not seeing any warning signs on your dash, you need to get the sensor checked by a certified mechanic. Check your tire pressure with a Tire Pressure Gauge. Sensors usually trigger a light in the dash if there is something wrong with them or the system. The ECU or PCM, which receives all the information from sensors, triggers a warning on your dash showing that something is wrong with the sensors. If a sensor like a tire pressure sensor is not working up to standards, the ECU will illuminate the Check Engine Light. The Check Engine Light can turn on for a number of problems, so it is better to be very sure about the problem. Visit a mechanic to diagnose the real reason behind a Check Engine Light symbol. You can also get the message “Tire pressure sensor fault” on your dashboard. When the tire pressure sensor is not working properly, you could get improper warnings on the DIC. The sensor could show you have a flat tire even when there is nothing wrong with the tire. Similarly, it could show low tire pressure even when you have recently filled the tires up to optimum pressure. These warnings are not something you should take lightly though as they can cause future problems. The tire pressure sensor is located inside a tire where it is attached to the inner part of the rim. You can easily find it once you remove the tire from the rim. It looks like a small cylinder. The tire pressure sensor is exposed to dirt, dust, heat, and debris due to its placement. All of these pollutants can trigger a drop in the sensor’s performance. If the sensor is not in optimal condition, your car’s performance can get affected. Therefore, you should do whatever you can in your power to ensure the proper function of a tire pressure sensor. Here we will shed light on sensor cleaning methods. The first thing you should try is to fill air in the tires with the correct tire pressure. You should then reset the TPMS system. If the light is still flashing on the dashboard, you can try to clean it with the methods down below. If the problem still insists, replace the sensor and recalibrate it. 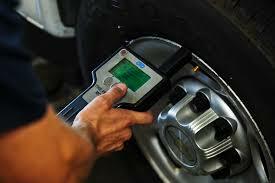 The tire pressure sensor can be found in the tire pressure valve or the rim of the wheel, from where it sends over valuable information to the car’s central computer. As you might have guessed, it is easy to remove a tire pressure sensor, however, the first step can be a bit difficult if you don’t have the proper equipment. To remove the sensor, you need to remove the wheel from your car and then remove the tire slightly so you can find the tire pressure sensor hiding behind it. Once it is found, use the screwdriver to undo its screws. The next step is to place the sensor in a plastic bag and use a dedicated cleaner or alcohol to rub off all the dirt and excess debris from the sensor. This work requires delicacy, so make sure you have a lot of time on your hands, as the last thing you want is to damage the sensor and buy a new one. After the cleaning work, make sure to dry the sensor for a good 20 minutes before you reinstall it. To reinstall the sensor, repeat the process you did to remove it. However, this time you need to ensure the sensor is tightly in place and the area where the sensor is located is clean. Most times, you will learn, that tire pressure sensor failure can be detected easily. Sometimes, you would get a prompt on your dash or DIC and when you check your tires for pressure nothing is wrong. This means the tire pressure sensor is not working properly. In other cases, you might get a flat tire and you wouldn’t be given an alert through a warning light in your dash. That rarely happens, but if it does you are looking at utter sensor failure. The tire pressure sensor costs $150 – $270. Add to that the labour cost of $75 – $140 and you get an accumulated cost of $200 – $430. Before you make any decisions about replacing your tire pressure sensor, it is best to consider the many mechanics around your area. Not all mechanics are the same, which means not every person who calls themselves a mechanic is actually one. Inexperienced mechanics cost less, so you would naturally be attracted to them for your work. However, to say the least, that is a bad decision, one that could cost you dearly in the future. Therefore, the best way to go is to trust a certified mechanic with your car issues, no matter the magnitude of work. Then there is the obvious fluctuating price of the sensor. There is no one fixed price of a sensor. Each sensor is different and each car is different. The price you pay for the tire pressure sensor depends on the make and model year of your car. The older the car the more difficult it is to find its part and the more you pay. The more modern the car the lesser you pay. However, this case might not hold true at all times. For example, imported car parts cost more than locally manufactured parts. Furthermore, the price you pay will come down to the number of sensors that need replacement. Your car has a tire pressure sensor for each tire, so you can imagine if two or three sensors go bad. You will be paying well around a thousand bucks for the replacement.